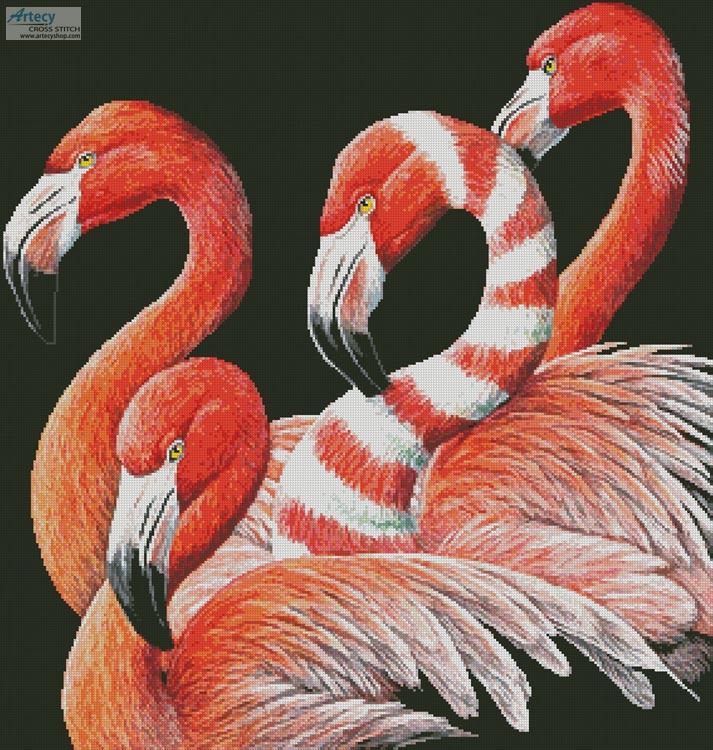 Four Flamingos Cross Stitch Pattern to print online. Only full cross stitches are used in this pattern. It is a black and white symbol pattern. To be stitched on black fabric or you could stitch on light fabric and hand stitch the black background stitches in if you prefer.